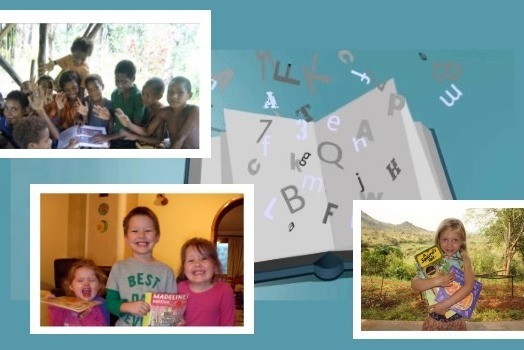 We donate books for Missionary Kids who do not have access to English libraries or bookstores. Each penny raised will be used to buy more books for Missionary Children all over the world! Books for MKs currently donates books to over 200 missionary children in Bulgaria, Papua New Guinea, Mexico, Cambodia, China, Japan, Bangladesh, Italy, Hungary, Cameroon, Ukraine, Indonesia, Peru, Costa Rica, Thailand, Kenya, Romania, Tanzania, Honduras, and Guatemala. March birthday cards going out to MKs in Mexico, Cambodia, Italy, Costa Rica, Papua, Ukraine, and Malawi (that's in Africa). Buy these kids a book for a birthday present by donating to BOOKS for MKS! Good news: I mailed out almost 100 books to the Missionary Kids yesterday! Bad news: I used up almost all the available funds, and the Books for MKs funds balance is down to $10!! These MKs in Japan love receiving books! Donate now to help these children and many more MKs get access to the reading material they need! We need funds to mail books to needy children! Donate NOW! Hi Kailey! I was wondering why the automatic monthly donation option is no longer available. Do you know why that is? Would love to read the trilogy before I catch the movie in March. Great project as well! Congrats on the subscribers! I only just discovered your channel, but I'm glad I did because what you're doing is amazing. Keep up the great work! Congrats on the subscribers! Your cause is inspiring. Keep at it! I discovered your YouTube channel thanks to the giveaway and what you do is awesome !! Keep on going and congrats on 100 subscribers :) I'd like to enter for this giveaway ! :D thank you very much !! Love from France ! I really admire what you doing. I confess that I only am here because of the giviaway, but this is very ispiring. Congratulations on more than a hundred subscribers. I really hope that you raise enogh money for all the children and I would real ly like to enter the giveway. Your channel is awesome and your doing great things. Congrats on your sub's. 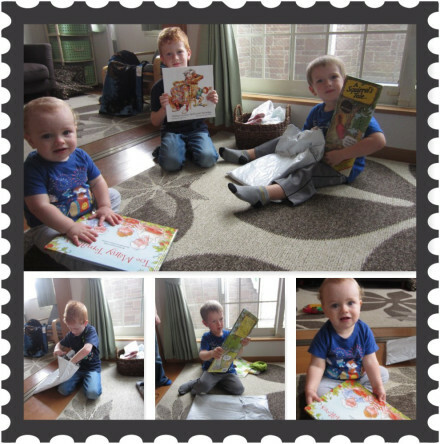 It's great to see the pics of the kids with their books!